The pioneering recommendations and agenda-setting seen in science policy in recent years are moving into the implementation phase. 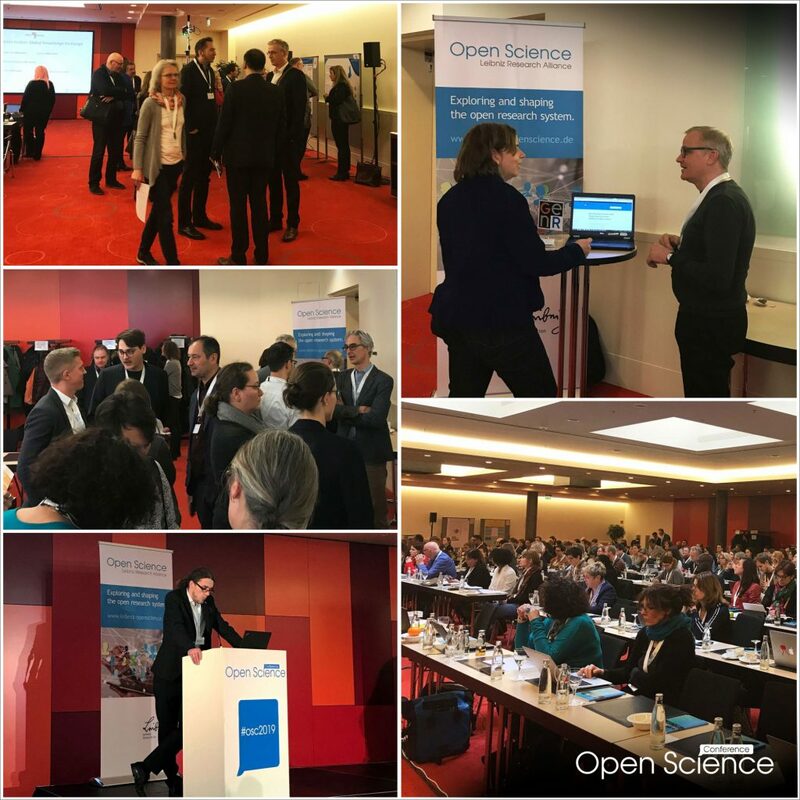 The Open Science Conference 2019 demonstrated, with many practical examples, that Open Science is being implemented and tested widely. In the past few years, the Open Science Conference was strongly characterised by developments in science policy. 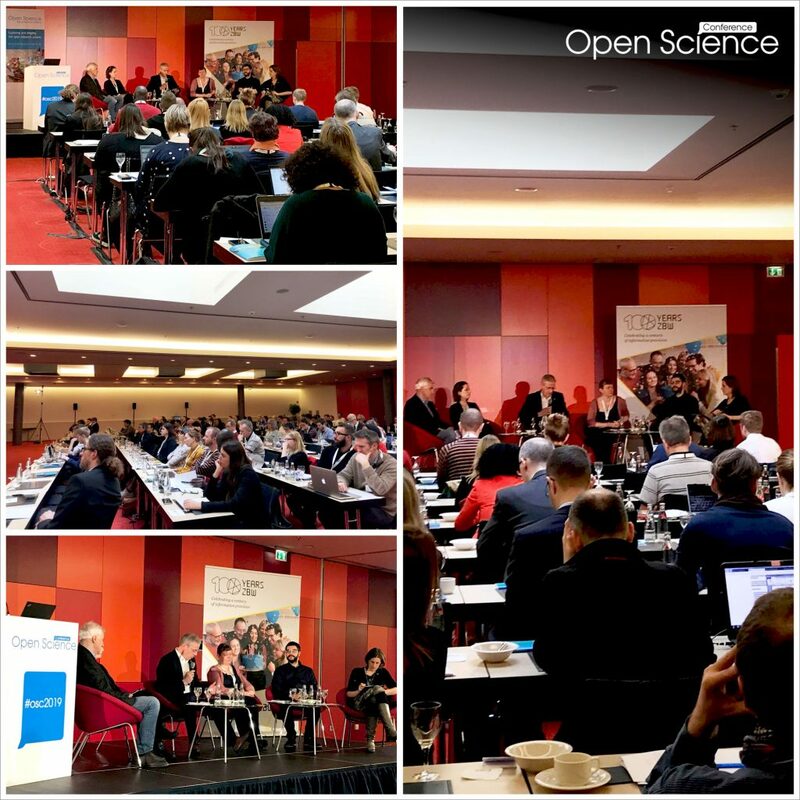 The topics discussed included the uptake of Open Science at the European level, the resulting efforts to create the European Open Science Cloud (EOSC) and the FAIR principles in the context of Open Data. The focus has since moved in the direction of Open Science practice. 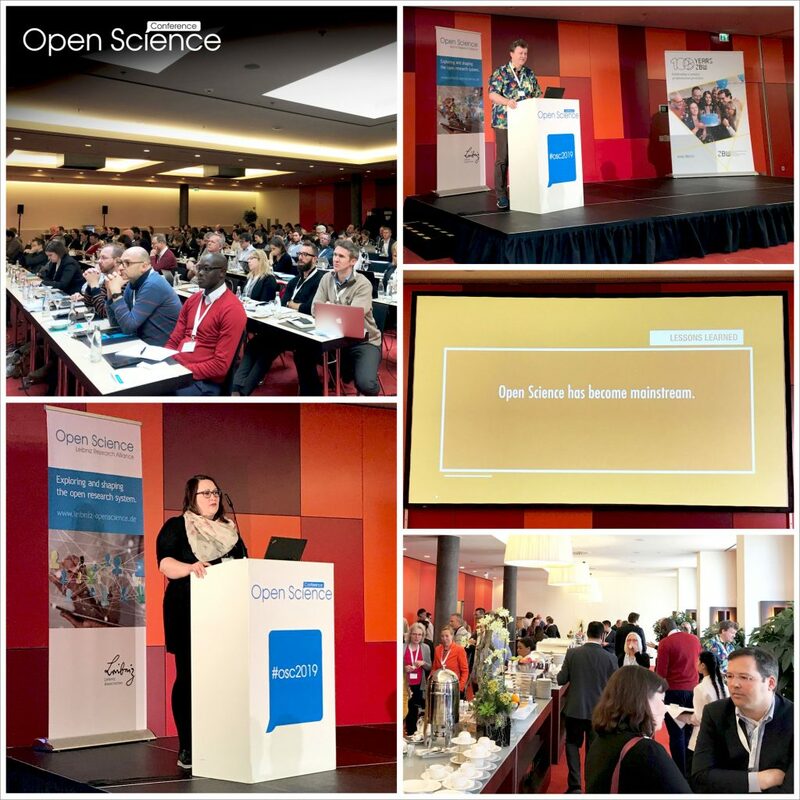 At the Open Science Conference 2019, which was held in Berlin this year on 19 and 20 March, the presentations and posters were almost all practical examples. The event is also becoming increasingly international: in addition to Europe, the 220 participants also came from Africa, as well as from North and South America. In recent years, Open Science at the European level was characterised strongly by the work of the Open Science Policy Platform (OSPP) and by the various expert groups convened by the European Commission. These bodies created a large number of reports containing recommendations. The most recent of these, the “Report from the EC expert group on the Future of Scholarly Publishing and Scholarly Communication” was presented by Dr Bianca Kramer, University Utrecht, and this was also discussed on the panel, which had the same name as the report. 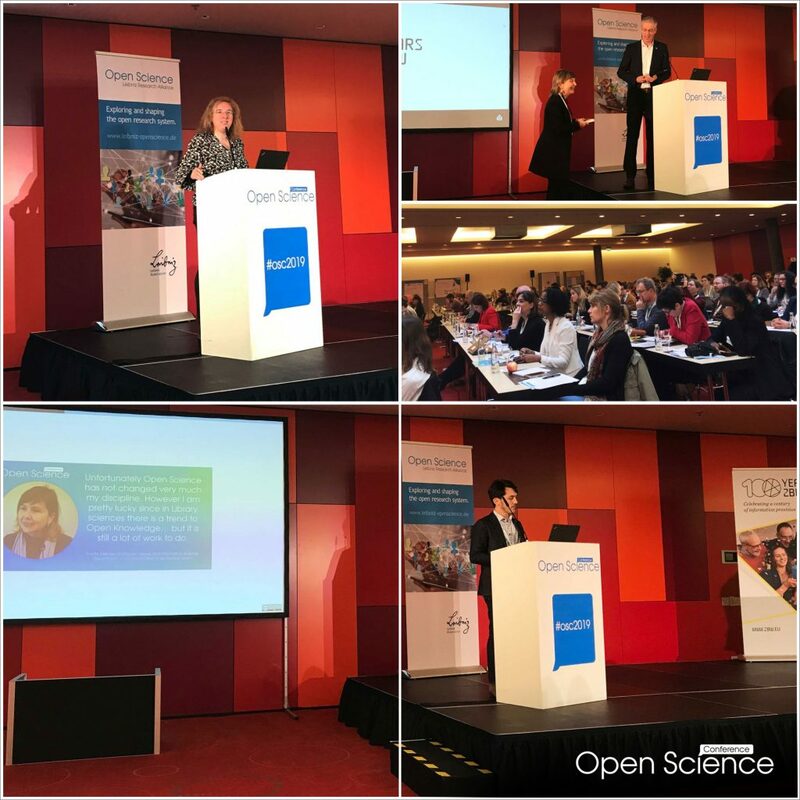 In her talk “Open Science?… Darling, we need to talk!” (PDF), Prof Dr Eva Méndez, chair of the second OSPP, underlined that there must now be a shift from ‘declaration mode’ to ‘implementation mode’. Even just the last four reports contained 87 recommendations that now awaited implementation. The focus of the second OSPP is therefore on supporting and devising this implementation with all its complexities and all its challenges and stakeholders. This requires suitable practical commitments for implementation (PCIs) to be identified and progressed. In short, all stakeholders should ask themselves this question: What can I do to make open science possible? And then put this into practice. For Eva Méndez, initiatives such as Plan S and University Journals are existing examples of PCIs in which funders and universities seek to promote Open Access. It is, however, equally important that individual researchers make a contribution as a PCI. The development of the European Open Science Cloud (EOSC) is also currently focused on the implementation phase, as Dr Isabel Campos, a member of the second High Level Expert Group (HLEG) of the EOSC, discussed in her presentation “Building an EOSC in Practice: a summary of the 2nd EOSC HLEG work” (PDF). This focus can also be seen in the establishment of a governance structure for the EOSC in the past year in Vienna and in the final report of the High Level Expert Group EOSC, “Prompting an EOSC in practice” (PDF). Given the level of complexity, it is seen to be important to find a lowest common denominator and to create a ‘minimum viable ecosystem’ (MVE) for the EOSC. The MVE will gradually be supplemented by ‘minimum viable products’ (MVP). A MVP can solve a particular problem for a community, for example, and is then successively developed further. Considering the talks and, in particular, the poster sessions with 24 contributions (and over 90 submissions), it is evident that the specific implementation of Open science involves a broad Open Science community. There are numerous projects supporting researchers in opening up their work. Tools are being developed to assist with data management, infrastructures are being set up on which research outcomes can be freely published, or handouts and training for researchers and for Open Science trainers are being provided. More and more application examples for Open Science are coming from the research communities. Some of these are driven by the challenges of the traditional scientific system, such as replicability and the processing of ever-larger data volumes. The ‘bottom-up’ or ‘grassroots’ character of Open Science is often emphasised since the cultural shift towards open research begins with individual researchers. Two presentations made this particularly clear. Dr Peter Kraker demonstrated his initiative “Open Knowledge Maps” (OKM) “#DontLeaveItToGoogle: How Open Infrastructures Enable Continuous Innovation in the Research Workflow” (PDF), from which a non-profit start-up was founded in Austria two and a half years ago. According to Peter Kraker, the accessibility of publications is no longer the biggest challenge: Open Access is constantly growing. Against the background of a rapidly growing volume of publications, it is, however, becoming increasingly difficult to filter scientific findings and to ‘detect’ what is relevant. This is hindering, or at any rate delaying, the transfer of scientific findings in practice. In this regard, OKM comes into its own with its development of an innovative, graphical, and completely open search engine with collaborative functions. All content, data and source texts are published under a free licence; even their roadmap is open. As Kraker sees it, open infrastructures are key for Open Science. With his #DontLeaveItToGoogle initiative he aims to publicise the fact that commercial providers such as Google and Elsevier do not operate openly and have built a ‘wall of dark knowledge’ that makes it difficult to access scientific findings. In a talk titled “Measuring FAIRness” Mark Wilkinson presented the FAIRmetrics initiative. The objective of this is to define metrics or indicators that enable qualitative and quantitative evaluation of the implementation of the FAIR principles for research data. From the very start of the initiative it was clear that such metrics would not be sufficient to judge the quality of a resource. Rather, it is more important to obtain an estimate of the degree of maturity of a resource in respect of its fulfilment of FAIR principles (‘FAIR maturity’). To define suitable ‘maturity indicators’ that are implemented through an open framework a community-driven approach has been chosen. The indicators are automatically executable so that interested parties can select and combine them according to their specific needs in order to obtain information about the ‘FAIR maturity’ of a resource. Libraries are involved in the implementation of Open Science in many places. Two examples from Finland were provided during the conference. First, Minna Marjamaa talked about the expansion of Theseus, a research information system that is primarily used for theses at Finnish higher-education institutions by means of the addition of a repository: “Open Repository Developed into Full Service platform for Open Publishing – The Case of 25 Universities of Applied Sciences in Finland promoting Open Publishing” (PDF). In future, it is intended that all publications by researchers will be added to this. From 2020, Finnish universities must publish 100% in Open Access. The National Archives of Finland is also calling for a long-term archive of all publications. The National Library of Finland has previously been involved in the development and support of the existing Theseus system. The role of libraries in the addition of the repository consists primarily in quality control at the level of metadata and in supporting researchers. In her talk “Open Science Angle Throughout the Research Process: From Open Science Policies to Actions at the University of Turku” (PDF), Mari Riipinen discussed how the Open Science initiative of the Ministry of Education and Culture in Finland is being practically implemented by the University of Turku. Additionally, Open Science services are being offered at the university. The library is responsible for Open Access (publishing, archiving, guidelines etc.) and Open Data (research data management, guidelines and so on). Open Science specialists provide support to researchers and offer training in this field. The library of the University of Lille in France is pursuing an unusual path, as explained by Romain Férets talk “Including open science to research projects since their submission: a library perspective” (PDF). This university library is offering a service that supports researchers in all Open Science aspects of project proposals. Generally, this relates to Open Access and data management plans. The library services help to ensure that these aspects of openness are considered right from the proposal stage, which may also have positive impacts on the review. If the project is funded, an Open Science manager from the university library coordinates and monitors all aspects that relate to Open Science. Implementation of Open Science is being advanced in many places. In order to do so, aspects of Open Science simply need to be tested in practice to gain experience. Regular exchange between all stakeholders is immensely helpful in achieving shared understanding and for facilitating learning from one another (Eva Méndez: “Darling, we need to talk!”). The Barcamp Open Science, which was a pre-event to the conference, also demonstrated that there is a need for suitable exchange formats. The need for such exchange to be global and to extend beyond Europe was further shown in the talk by Johanna Havemann “What role can Open Science play in enabling South-North dialogues?” (PDF) on the role of the AfricArXiv in Africa. In future, the Open Science Conference will give greater consideration to the promotion of this international exchange.